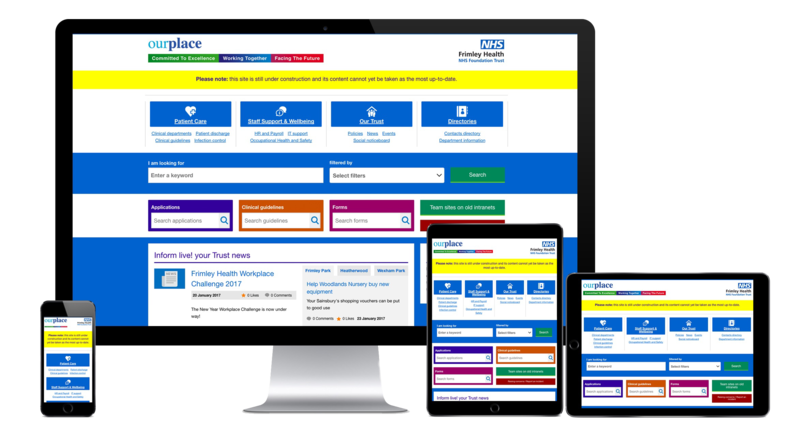 In late 2016, Frimley Health NHS Foundation Trust appointed Connect to design, build and deliver a new intranet platform that reflects its strategic objectives and values. The Trust wanted their new intranet to promote collaboration, whilst providing an effective way for staff to communicate and search for information. Before work began, the Trust’s 9,000 staff members relied upon two SharePoint intranets with staff fragmented across networks. The refresh, therefore, was crucial in breaking down technical and geographical barriers. 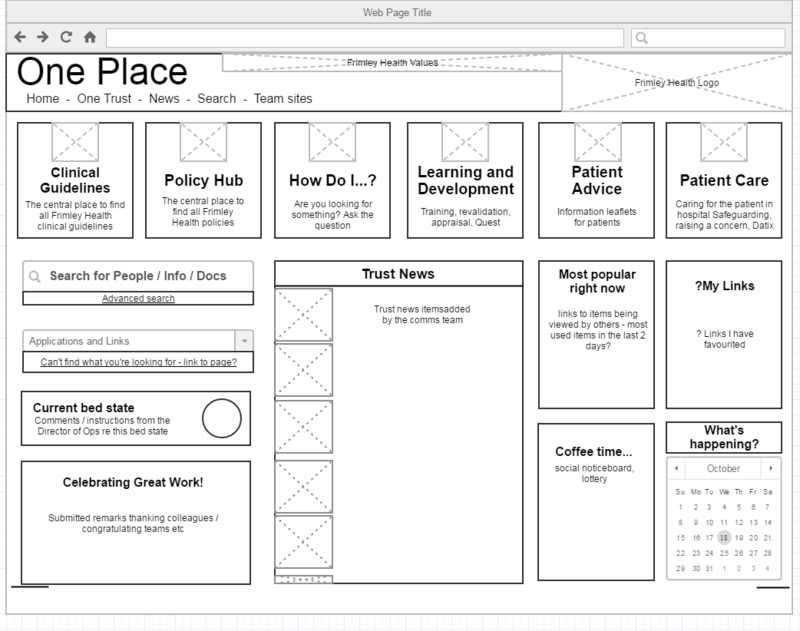 The development of the intranet was upheld by a comprehensive discovery phase, which allowed our team to review the Trust’s existing intranets, analyse requirements for the new platform and work with focus groups to engage staff in the process, primarily through card sorts, workshops, tree testing and first click testing. These activities provided input into the intranet’s branding, core functionality and information architecture. 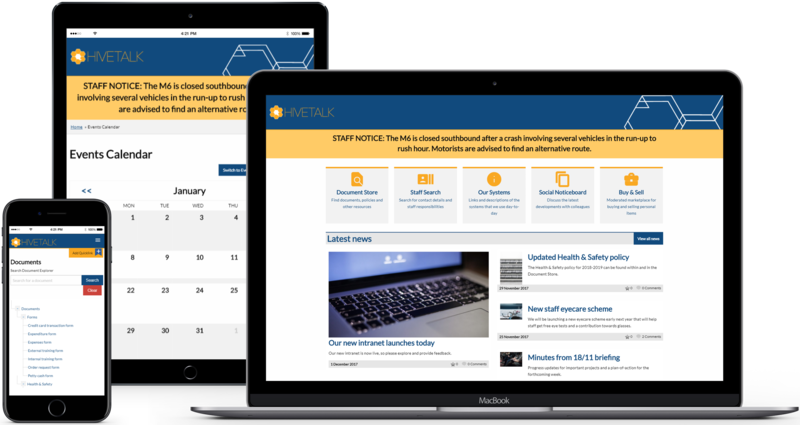 Connect proposed a clean, visually appealing and flexible intranet with low maintenance overheads that successfully reflects the Trust’s values. The finalised intranet provides clear signposting to information, and is supported by a contemporary user interface, enabling the Trust to maximise employee engagement. With Umbraco’s open source roots, and the hard work of our developers, we made sure the system is extendible and intuitive for editors. Flexibility is maximised through a set of flexible templates within the CMS, which also allows for an unlimited number of users. Prior to launch, Connect delivered training to the Trust, covering core Umbraco functionality and best practices to ensure all members of staff get the most out of the intranet and continue to add to the platform’s bank of knowledge. In keeping with a set timescale, we delivered the flexible, user-friendly intranet platform Frimley Health sought, and the Trust is now actively extending it. The intranet provides a central place for over 9,000 staff to collaborate and communicate efficiently, irrespective of their location or device type. We have been delivering intranets for over 15 years, and we are the ideal partner to help you transform the way you work.